TORRONTO – Spectral Medical Inc said its experimental treatment for sepsis – a common, oft-deadly complication of infection – failed a late-stage study, stymieing the company’s plans to bring to market the first FDA-approved device for the condition. Sepsis occurs when the immune system goes into overdrive to fight infection or bacterial toxins, triggering a cascade of physiological changes that can lead to multiple organ failure and death. 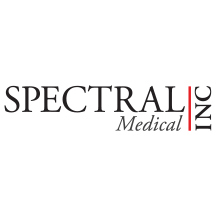 Toronto-based Spectral Medical holds North American rights to a system developed by Japan’s Toray Industries Inc, designed to restore blood pressure and correct organ dysfunction by using an antibiotic to detoxify the blood. Once the patient’s blood has been extracted, it is passed through two columns to remove a type of toxin, called an endotoxin, which is believed to be a major trigger for sepsis. The trial did not meet the main goal of absolute reduction in mortality rate at 28 days but did demonstrate beneficial treatment effects, Spectral said on Monday. “We proved beyond doubt that endotoxin is bad and taking it out is good,” and Spectral will discuss with the U.S. Food and Drug Administration the next steps, Chief Executive Paul Walker told Reuters. A smaller-than-expected decrease in endotoxin adversely affected the rate of mortality reduction, he said. There are no specific FDA-approved medicines for the treatment of sepsis, and there have been several high-profile clinical failures. The leading cause of hospitalizations in the United States, it can result from a simple cut, routine surgery or infections associated with chronic disease. Infants, the elderly and those with weakened immune systems are most at risk. In extreme cases, a dramatic drop in blood pressure can lead to life-threatening septic shock, the category of patients Spectral is targeting. Toray has been selling the product, the Toraymyxin system, in its home market since 1994 and through distributors in Europe since 2002. The system is also approved for use in Canada. Still, data supporting use of the device is intensely debated, with trials conducted outside of Japan and Italy failing to prove its efficacy. Walker expects Spectral will now need to conduct an observational study to show that four columns, for example, will take out enough endotoxin to make a significant difference in mortality rate.